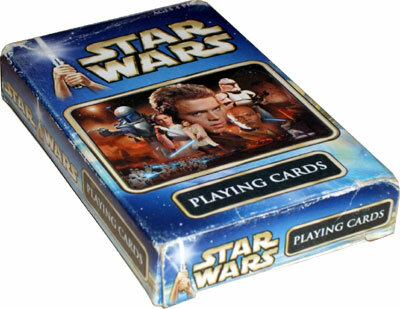 Over the years there have been several fan-decks of ‘Star Wars’ playing cards produced. 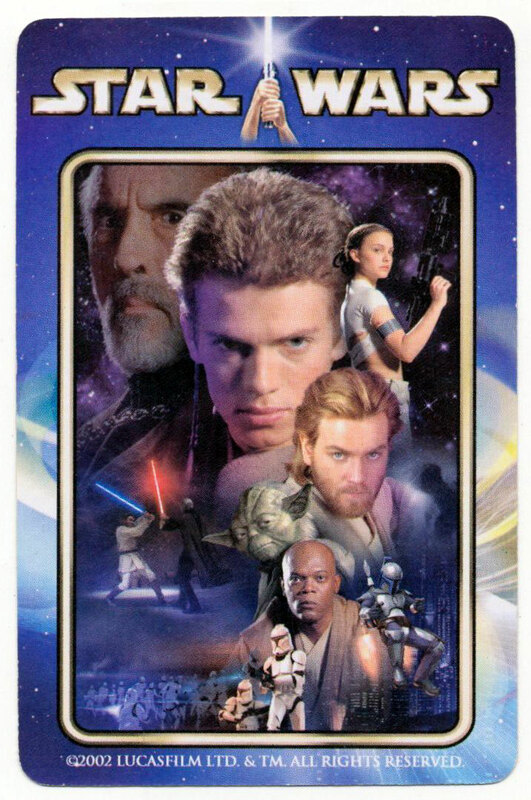 These ones are the 2002, British made, deck known simply as ‘Star Wars Playing Cards’, and refer to the ‘later’ Star Wars films. 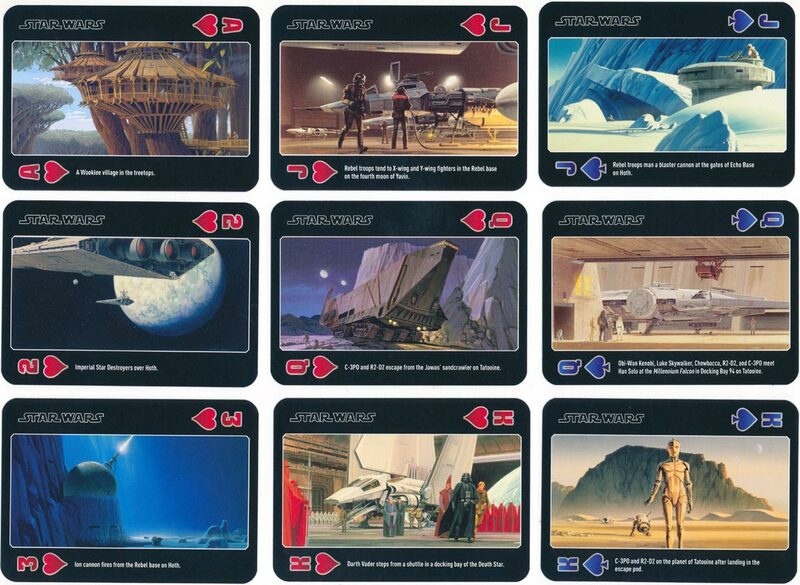 The deck was produced by Character Games and carries the copyright notice © 2002 Lucasfilm Ltd.
Each pip card has a sketch background of a different creature or robot from the later films, while the court cards carry artist impressions of various characters and the aces different spaceships from the film. The characters used to depict the suit on each card have been stylised in line with the futuristic nature of the film's plot. The design on the back of the cards is a medley of characters from the films. 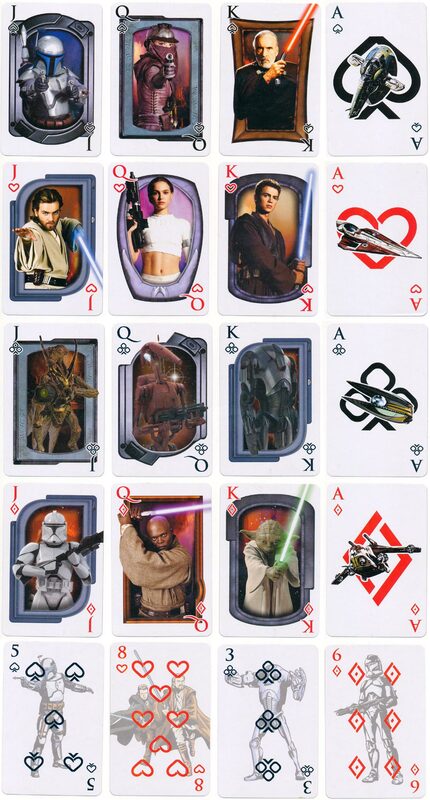 Above: ‘Star Wars’ playing cards produced by Character Games, © 2002 Lucasfilm Ltd. Images and review courtesy Matt Probert. 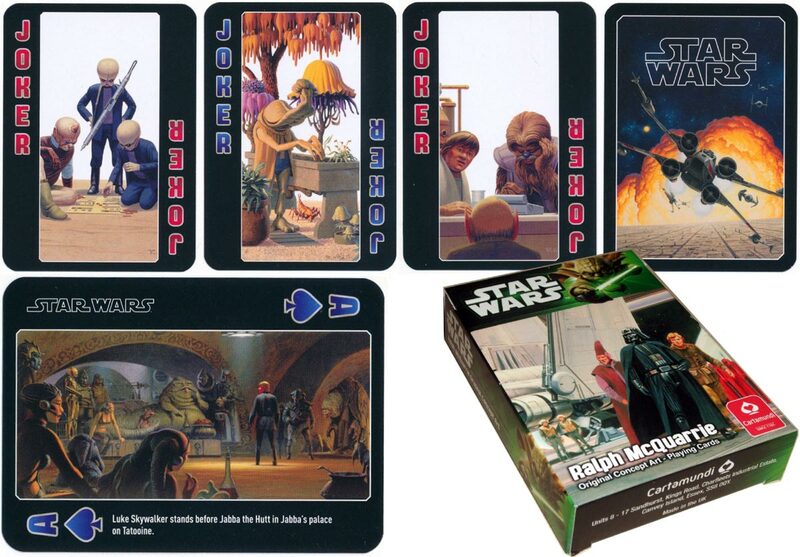 This ‘Star Wars’ pack features a different piece of concept art from Ralph McQuarrie on every card (including the three jokers). Ralph McQuarrie illustrated scenes from the script for the original Star Wars films. Above: ‘Star Wars’ playing cards by Ralph McQuarrie © 2013 Lucasfilm Ltd, printed by Carta Mundi (UK). Images courtesy Matt Probert.